This is the amazing story of two very different men who have risked everything to expose illegal logging in Madagascar and to protect the critically endangered Silky Sifaka. 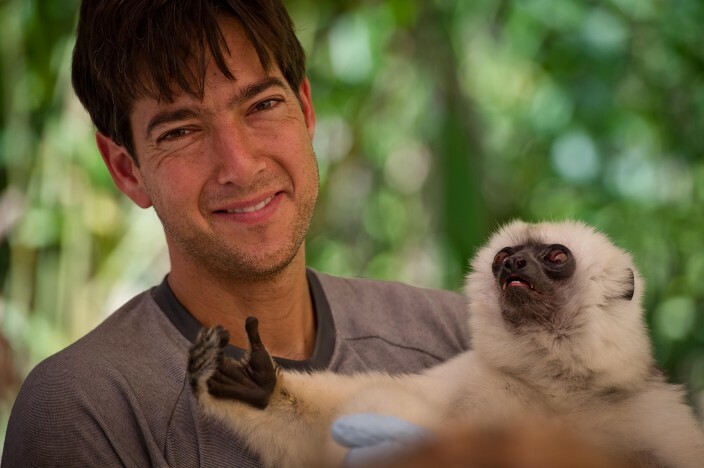 Erik Patel has spent 10 years living in the remote and extremely challenging rain forests of northern Madagascar studying the elusive and beautiful Silky Sifaka. As political turmoil gripped the country in 2009 the forests where these lemurs live were overrun by loggers working for Chinese controlled mafia organisations. The loggers were after rosewood and ebony – rare and slow growing trees whose timber has great value in the international marketplace, not least as they are highly sought after in the construction of guitars and other musical instruments. Erik did what he could to raise awareness of the issue but it seemed like a futile struggle ….. until he met Sascha Von Bismark. Sascha is the head of the Washington based Environmental Investigation Agency, and he had just spent 6 years getting an amendment to the Lacey Act, a piece of US legislation that controls the movement of endangered animal products across state borders. Sascha’s amendment gave the Lacey Act more weight by including plant products under its umbrella and including the US’s international border in its remit. Basically meaning that any US company importing any plant product – from raw timber to loo paper – would have to prove that it had been sourced legally. 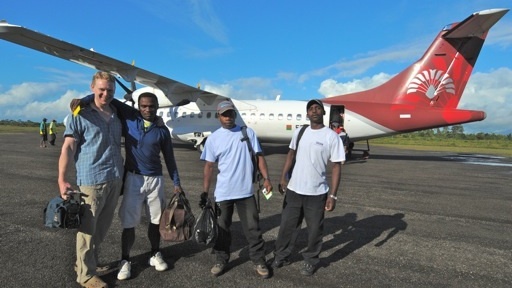 Sascha needed a test case, so, in 2009 he went looking for the illegal logging hotspot of the world, which happened to be the forests of Madagascar – and there Erik and Sascha met. 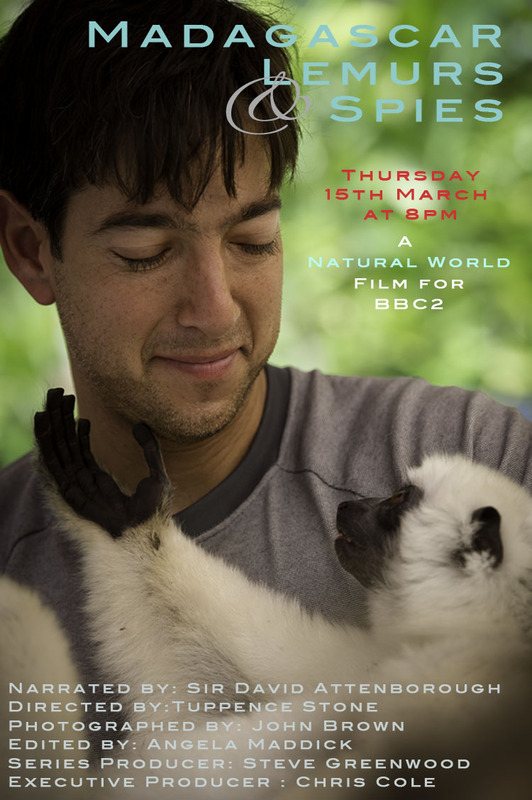 The film follows their story; Erik’s research, Sascha’s undercover work, and it also follows a year in the life of the group of Silky Sifakas that Erik has devoted his life to. It is a beautiful and uplifting conservation story and really does go to show that, through skill, tenacity and determination David can beat Goliath – world trade in endangered and illegally sourced timber is already changing due to these two men. This was a really challenging film to make; very difficult working conditions and a complex storyline stretched all of us. The days in the field at Erik’s study site were among the toughest I’ve ever experienced but the team was like no other I’ve worked with, Erik is a genuine hero – he and Sascha are the kind of people who reaffirm one’s faith in human nature. Our family of porters who looked after us also became very close friends who I consider it an absolute privilege to have known and worked with – the memory of our dawn ascent of Marojejy Summit will stick with me forever. And Erik’s website is here – you can donate to help Erik’s work and it will be one of the best causes you ever donate to, I’ve never met anyone more selfless, dedicated and passionate.